One of the many holiday traditions we have in my family is Christmas Eve candy making. My specialty? 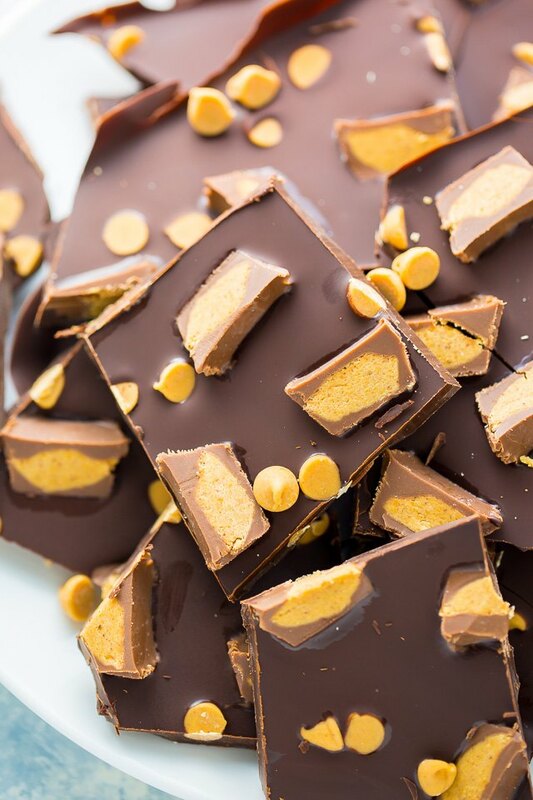 This seriously simple chocolate peanut butter bark. 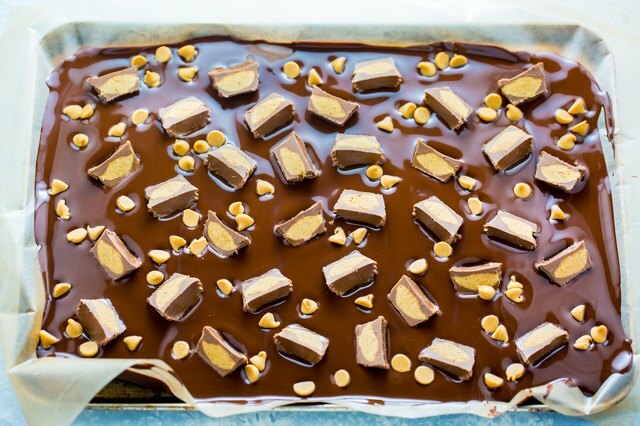 It requires just 3 ingredients, takes less than 20 minutes to assemble, and makes wonderful gifts for friends and family. 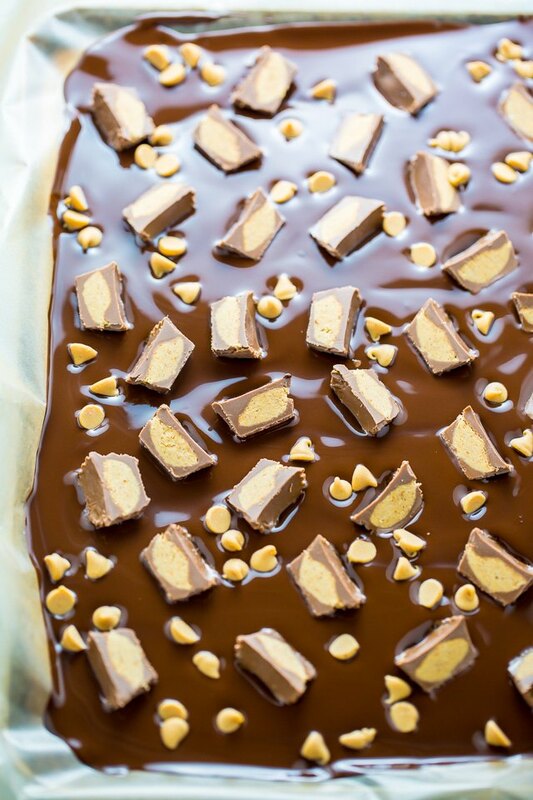 If you love the flavor combination of chocolate and peanut butter, be sure to give this recipe a try ASAP! 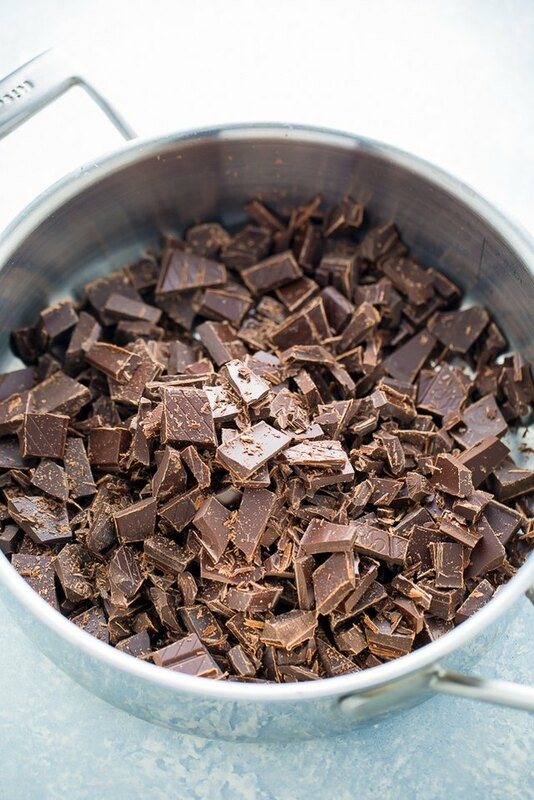 Place chopped chocolate in a heavy-bottomed saute pan. Over low heat, melt the chocolate, stirring constantly, until completely smooth. Remove from heat. Line a 9x13 inch baking sheet with parchment paper. 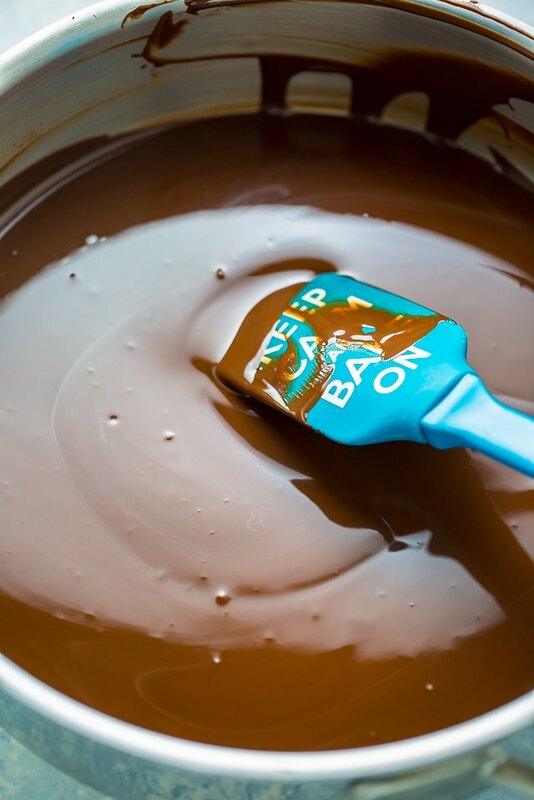 Pour the melted chocolate onto the prepared pan and smooth with a rubber spatula. 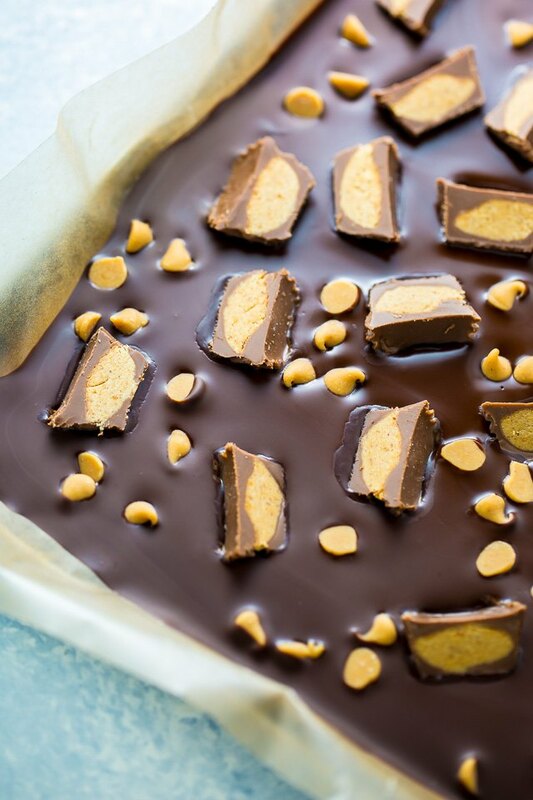 Sprinkle the peanut butter chips and peanut butter cups on top of the wet chocolate. Place pan in the refrigerator to set. Once solid, use a sharp knife to chop the bark into rough pieces and serve at once, or store in the fridge until needed, for up to one month.